BILL SCOTT has been coaching and helping kids better their techniques throughout Ocean and Monmouth Counties for over 10 years and is well respected in the sport and community today. He is a long-time resident of Bricktown, New Jersey. While running a successful Jiu-Jitsu academy in Toms River he offered his knowledge, experience and great coaching skills and began Shore Academy Wrestling club in the fall of 2007 before moving to its new location in Point Pleasant, NJ- January of 2009. 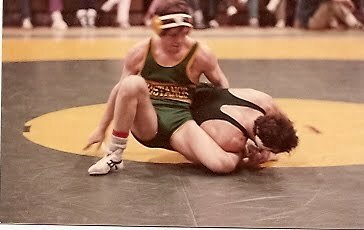 His passion for wrestling started in the middle school years and then became one of the greatest wrestlers and LEG RIDER to come out of Brick Memorial High School under the guidance of legendary Coach Tony Caravella within the schools first years of opening. He then went on to earn All-American status at Middlesex County College. 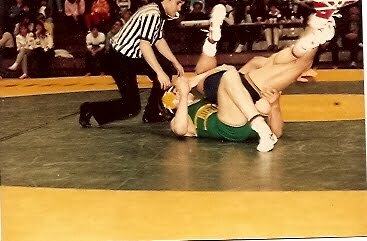 With his 5th place finish at the 1986 NJCAA Championships, Bill Scott earned All-American honors for Middlesex County College. Scott, who twice finished unbeaten in dual meets, completed his career at Middlesex with a 77-4 record. 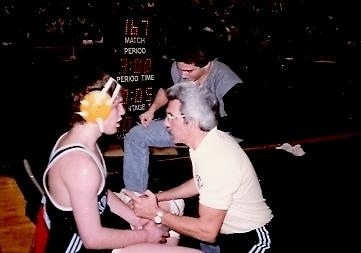 Wrestling for Brick Memorial in the early 80′s, Scott was the program’s first ever District and Region Champion. In all, he finished in the Top 8 of the NJSIAA Tournament twice, was a three-time Region and District champion, and compiled a career record of 96-9-1. Coach Bill Scott’s passion for wrestling and competition has inspired him to also become a top level Brazilian Jiu-Jitsu Black Belt over the past 10 years and most recently received his first degree under Mulitple World Champion Grappler and 3rd degree black belt, Pablo Popovitch. His wrestling skills played a big part in his Jiu-Jitsu training as he won numerous professional grappling tournaments throughout the east coast and still trains and competes today. He is a full-time instructor dedicating his time in helping all the students with their training.